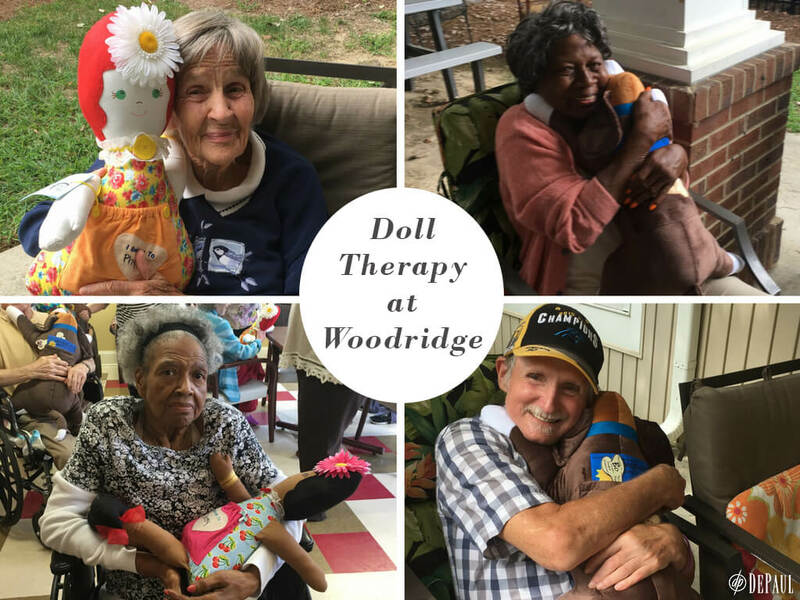 Phyllis, a resident of Woodridge, a DePaul Senior Living Community in Monroe, North Carolina, couldn’t contain her excitement as she was handed a Comfort Companion doll. She and other residents were recipients of a generous donation in honor of World Alzheimer’s Day on September 21 and World Alzheimer’s Month during the month of September. Much like the myriad of benefits gained from music therapy, the demeanor of people with Alzheimer’s disease may improve with the stimulation of “nurturing” a doll. Residents at Twelve Oaks, a DePaul Senior Living Community in Mt. Airy, North Carolina, similarly enjoyed receiving Comfort Companion products (watch their reactions here). At Woodridge, the companionship provided by the stuffed dolls and dogs has already proven successful! Many thanks to Comfort Companion and Janet Tompkins for the generous donation to Woodridge as well as other DePaul senior living communities. Watch residents’ initial reactions to the Comfort Companion dolls in this video! https://www.youtube.com/watch?v=8CiCTfoVq3k DePaul Senior Living Communities provide the comforts of home, a commitment to enhancing the quality of life, and personal care services in a supportive environment that promotes independence. Learn more about our communities in New York, North Carolina and South Carolina.